Prof. Dr. Babu.T. Jose, B.E., M. Tech., Ph.D., FIGS, MISTE, MIE C. Eng. Prof. Dr. Babu T. Jose is the Former Director of School of Engineering, Cochin University of Science and Technology (CUSAT), Kochi. He has teaching and administrative experience of over 40 years. He formulated B. Tech. in Information Technology and Safety and Fire Engineering for the first time in India, in 1995 and in 1996 respectively. He introduced B. Tech. course in Marine Engineering in CUSAT in 1998 for the first time in Kerala. He has served CUSAT in various capacities – Syndicate member for 5 years, Dean, Faculty of Engineering for 6 years, Member, Academic Council for 24 years and Chariman, Board of Studies in engineering for 20 years. Recognizing his professional excellence Govt. of Kerala appointed him Special Officer to make recommendations for establishment of Technical University for Kerala 2005-2006. 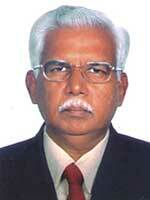 He took B. E. from N. I. T. Warangal with Nehru Memorial Gold Medal in 1967 and M. Tech from IIT Madras in 1972. He was awarded Ph.D. from CUSAT in 1990. He has guided 10 students for Ph.D. in Civil Engineering. There are over 70 research papers in International and National Journals and Conferences including prestigious Journals in Engineering like ‘Geotechnique’, Marine Geotechnology, ASTM Testing Journal etc. to his credit. 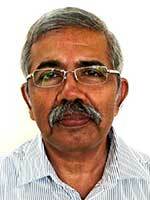 He has won two national awards for best research papers in marine geotechnology. Prof.George is well known to the Polymer fraternity in India and abroad. He is basically a Chemical Engineer and later switched over to Polymer Engineering. The main impetus for this changeover was his M.Tech specialization in high polymer from IIT, Madras. After completing M.Tech, he joined Harihar Polyfibres, Karnataka as a Process Engineer. But teaching/research was his passion and after a brief stint of service in Industry he joined the Department of Polymer Science and Rubber Technology, Cochin University of Science and Technology. His long stay with the Department spanning more than three decades took him to the international arena and he as the head of the Department from 2000 to 2003. He took his Ph.D from Cochin University of Science and Technology and had his Post-doctoral training at Deutches Kunstoff Institute, Darmstadt, Germany and Technical University of Eindhovan, the Netherlands. His contributions in the areas such as Recyclable Polymer Composites, Nano/micro Hybrid Polymer Composites are particularly noteworthy. He has written books in Engineering Chemistry and has contributed Chapters in polymer Rheology and Processing in International Publications. As an Academician he has been involved in establishment and development of several other polymer Departments, besides his own Department, in Universities like MG University, Kottayam; Kerala University, Thiruvananthapuram; Calicut University, Kozhikode; SK University, Anantpur and others where he served in Board of Studies and other academic bodies for several years. He is the past chairman of the Kochi Regional Branch of Indian Institution of Chemical Engineers and Present Vice Chairman of the Indian Rubber Institute, kerala Branch. He is also the receipient of the outstanding Chemical Engineer Award instituted by the Institution of Chemical Engineers.